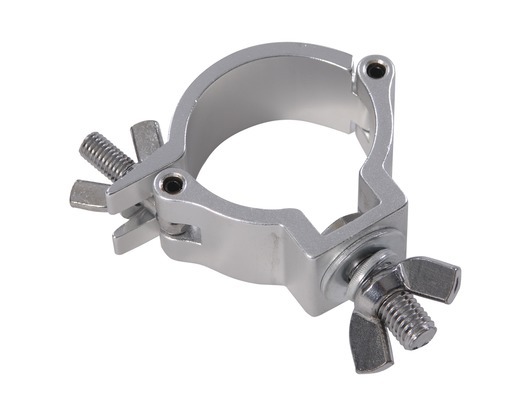 The Global Truss Narrow Half Coupler Clamp is available in Silver (812) and in Black (812-B). 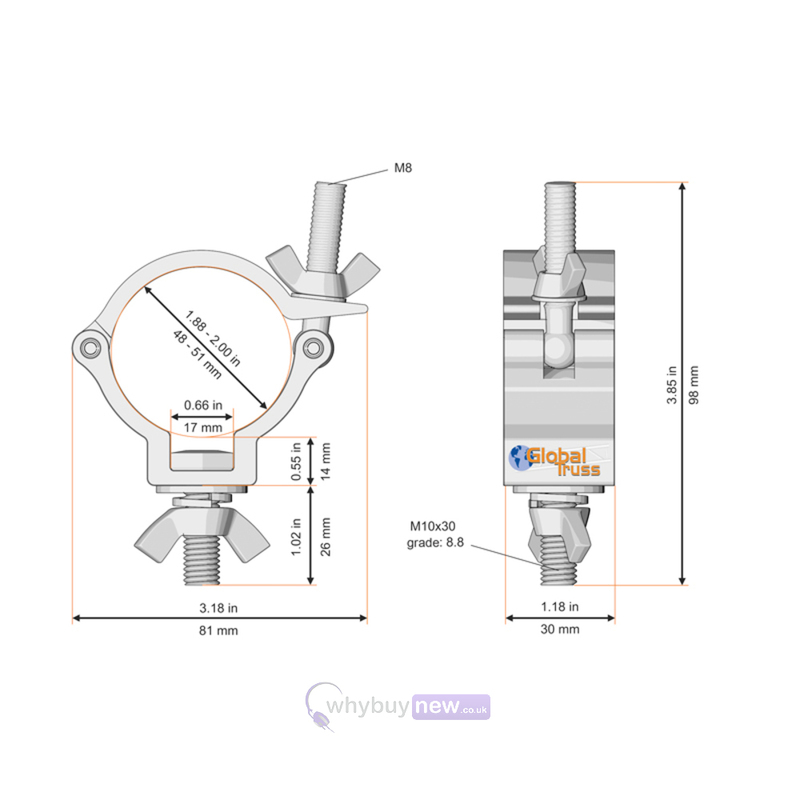 It has been designed for tubes that are 48-51mm in diameter. 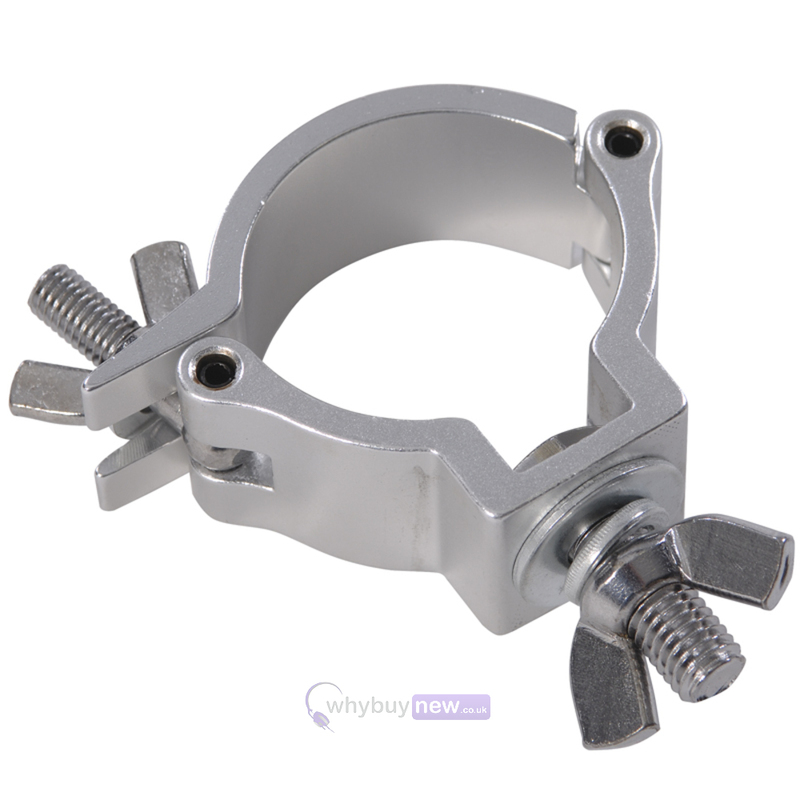 The maximum load for this clamp is 100kg and the light fixing is M10.